Why Did I Get Up Today, Anyway? I’ve been very quiet lately, but it’s been for a fairly good reason. I’ve been going through a hard time with all the medical-related stuff, and it’s left me feeling like I don’t really want to do anything at all. When I try to do things, the effort feels very physically exhausting. Yesterday, after actually getting up and cooking something for the Crock-Pot, I felt tired and depressed, and just got in bed and cried. Somewhere along the way, I fell asleep. This week, I went to my doctor to check in with her about my medications, because it had been a year or so. It seemed to me that my medications had stabilized my problems. I was no longer having panic attacks, heart palpitations, the vertigo had decreased significantly, and I had noticed myself being able to go out places I couldn’t handle before. Some days, I’d forget to wear my sunglasses. The only complaint I had was the inability to lose any of the weight I’d gained on these drugs. During the course of about 2 years, I gained a quarter of my body weight (being a very small person, this is a very big deal), and even though I was again able to walk three miles and even jogged a 12 minute mile on numerous occasions (until I hurt my knee), I wasn’t burning a single calorie. Unless I just didn’t eat, that scale didn’t move. Therefore, I was quite surprised when my doctor informed me that my pulse and BP were running very low, and she saw it as a sign it was time to cut back the dosage of my beta-blocker, an old-school drug called Atenolol. Adapting to taking this drug in the first place was hard. The first month was sheer hell. I felt tired all the time, lethargic, depressed, hated the world, gained weight, and hated being in public places with loud noises and bright lights. Almost all simple things felt like a challenge to accomplish. Somehow, along the way, my body adapted and I finally got to a place where I felt normal. Atenolol treats high BP, which I didn’t really have, but it also treats high pulse rate, irregular heartbeat, palpitations, anxiety, and migraines…all symptoms I presented with when prescribed the drug. I started to scale back the beta-blocker this week. My doctor wants me on half the dosage I’m taking now, with the hopes of eventually phasing it out altogether. Since you have to start small (just quitting the drug is likely to end you up in the hospital. ), I cut out a quarter of the pill. The first day of doing this was fine, except I had a horrible migraine. The second day, not too bad. I still had a headache and felt anxious about certain things, but I went out to dinner, walked around town, and went drinking at a club with a friend. The third day, life just started to fall apart. Yesterday was day number 4, and I felt disinclined to get out of bed or to do anything at all. I went to one of the “withdrawing from your beta blocker” online support forums, because I wanted to see if other people had as hard of a time as I did. I was reminded that Atenolol treats migraines, so cutting it down immediately gave me migraine with aura for 3 days. Atenolol treats anxiety, so removing even a little has made me jittery and anxious about fears I thought I’d conquered. It messes with the stability of your heart rate and blood pressure, so I’ve felt dizzy and lightheaded anywhere but my bed. Yesterday, I was crying because I was depressed, and I was depressed because I felt like I was getting better, getting my life back…and someone went and took that away from me. I feel really fragile and scared. The Guy I Am Currently Dating has been very supportive. He’s done all my errands for me, gotten me my favourite foods, helped me make healthy food for lunch for the next week, and even went to the Disney store to get me a “Brave” doll. (There is a stuffed Merida sitting on my bed now.) Yet, I feel like it’s hard for anyone to understand just how crappy I feel, and how disheartening it is to have a huge physical and emotional setback. People say that the first drop in dosage is the hardest, and if I make it a week without going to back to taking the whole pill, my body will spend the next week or so adjusting to the new dose…and I can eventually reduce to the dosage my doctor wants me on. Even my doctor doesn’t understand the physical and emotional side effects; she told me to just take half the pill from now on, and my body would barely notice. That is incorrect. I notice when I am dizzy, when my vision gets blurry, when something makes me panic. I’m not allowed to engage in physical activity while I am adjusting my drugs, which inspired my doctor tell me it was the perfect time to go through this, because I should rest my knee (which is sprained or even possibly torn. I have zero good knees) for 4-6 weeks. So, I am resting my knee and my heart, but the hardest part is resting my mind. I do not feel like myself. I do not feel like I am in a stable emotional place, and I am scared a lot. I am depressed because at the beginning of the week, I was so happy my doctor said I was getting healthier. Now I feel like I did when I got sick 2 years ago. I am terrified to go to trivia tonight. I am afraid I’ll pass out, get too dizzy on account of the lights, the noises, and the people, or I’ll just look like a crazy person in front of other people who don’t understand…and some of whom don’t like me to begin with. I feel like I am too fragile to go out around people, and want the Guy I Am Currently Dating to have fun without me. He won’t do this, though, and that makes me sad. I almost went back to taking the whole pill today, just so I could survive trivia..but I logically know that will make tomorrow harder. I’ve never been physically and mentally addicted to something before. Sure, I like Coca-Cola and I enjoy my alcohol, but when I got sick and could have neither caffeine nor alcohol for a few months, I just stopped. When I had to quit nasal spray and antihistamines, it wasn’t easy, but there was another drug to help me through the side effects, and I made it. There’s never been something I felt like I couldn’t cut out of my life, even if it was painful, even if it was a relationship with another person. There’s definitely a difference between feeling mentally weak and physically weak, though. When something affects both, being stronger than that is really, really hard. I’m not that strong to begin with…so it’s been a rough week. I will probably spend most of Memorial Day weekend sleeping and watching TV and waiting for the anxiety and brain fog to lift. I’m also experiencing my normal holiday depression, where I realise every single holiday that nobody in my life cares about me enough, or is single and available enough, or is not too distracted by their own family, to spend holiday weekends with me. I’m always alone. Always. And I inevitably spend time thinking how little anyone would really care or notice if I just weren’t around anymore…or that maybe once I’m not here anymore, people will wish they’d have bothered to make the time for me, to travel with me, to really consider me a part of their lives, and not just an entertaining little add-on to it from time to time. In my next life, I hope I’m the kind of person people want to be around and spend holidays with. The entire time I’ve been an adult, that hasn’t been the case for me. And every holiday weekend, I feel dramatically sorry for myself in my alone and unloveable (or loveable, but with conditions, and when it fits into the schedule, and maybe we’ll go somewhere and have an adventure someday) state. Jezebel, Short Stories, & Death….. In my humble opinion, Jezebel doesn’t tend to publish very many insightful things. Personally, I’m not a fan. If something has pissed me off and I’m writing about it on my blog, there’s a 70% chance someone from Jezebel inspired me to do that. I’m not just saying that because I used to date someone who was affiliated with this magazine (back when people read magazines), or because of the number of articles I come across designed to make me either hate myself, want to undergo radical plastic surgery, make me hate the world, or make me consider joining a convent or living a spinster-ish Jane Austen existence. I don’t need Jezebel to tell me why I’m not married, why he won’t commit, why I might be bad in bed, or why 30 is the new 60. I don’t need to know how society judges me, according to a specific subset of society getting paid to write about judging others. I don’t really have many kind, ladylike words for Jezebel. However, every once in awhile, there will be a surprisingly rational, pro-female writer who shows up and makes me think I must have landed on the wrong page. Sadly, I have to agree. I don’t know if the internet is a nice place, but since I apparently am old enough to be a part of “social media before social media had a name”, I remember when the internet was not a nice place. During my time on the internet, I’ve experienced meeting someone online, falling in love, moving to a new city, having everything fall apart, and somehow still getting back on the Internet. I’ve dated people who were pretty influential in making the internet what it is today, even though I didn’t know something huge was happening at the time, and neither did anyone else. I’ve had stalkers. More than one. I’ve had marriage proposals. I’ve had death threats. I’ve gotten mail and phone calls from people who shouldn’t know how to find me, and you can’t take a restraining order out on an avatar. I’ve done online dating through Match.com and OKCupid, which gave me a LOT of stories and a few really close friends I don’t remember not being a part of my life…who in turn gave me other close friends I can’t imagine not being a part of my life. I’ve been broken up with because of my blog, had angry wives contact me because their husbands were chatting with me through my blog, had parents of people I was dating hate me because of my blog, had my “friends only” blog printed and shared with those who were definitely not my friends—twice, had people send mail to those I was dating to tell them what a horrible human being I am, had people write nasty comments and reveal personal information on the pages of everyone I knew in my social group, eventually took down my blog after my personal life caused great upheaval and others saw the internet as a tool to see how far they could push before I wanted to kill myself or someone else, and then got really angry at myself for allowing other people to send me into hiding. I still have people who cite the “constant social media presence” as a reason for wondering if they could ever date me, and people who read my blog and FB just to mock me. I’ve still experienced losing friends over differences in communication in the online world. The difference is that I care less than I used to, which is still way more than the average person is likely to care. The internet, for me, has been a wild ride I never would have anticipated being this huge part of most of my adult life, one that led me to fantastic adventures and tragic mistakes. However, has the internet ever been “nice”? Well, no. Not to me. If you’ve noticed, I’ve disabled comments on my blog. It’s been that way for a good number of years now. People who want to respond to me are free to e-mail me or contact me on FB, Twitter, whatever. Many successful bloggers, most of them female, have made similar choices. Why? Because, frankly, this is my space. You wouldn’t walk into my home to criticise me or tell me you didn’t like me or to wish I’d die. You wouldn’t leave inappropriate notes you should never write lying on the coffee table. Leaving those comments on my blog is the equivalent of just that. So, basically, you don’t get the key to my house, and I think that’s totally valid. I’m not sure that this just applies to women, however. There are some male bloggers who are very unafraid to put themselves out there, and they receive a lot of haters. You might even be the CEO of a company, and someone with a grudge starts the story that you’re getting fired because you’re an alcoholic, and the next thing you know, it’s on a legitimate news source. You might be freaking Bill Gates, and every single word you publish is fodder for an internet troll or rant. The thing is, it’s always been hard. I’m not surprised when something comes along that makes me cry, because I’ve never seen the part where having an internet presence didn’t mean being constantly judged, which often means crying at what other people write about you. I’m not a thick-skinned girl. I’m intensely sensitive, and the comments have always hurt, the same way they do in real life. But it is certainly something you need to deal with in order to be anyone with an internet presence these days, especially a female someone. On a more personal note, today ended up being a very good day, despite all my expectations to the contrary. In fact, I couldn’t fall asleep last night because I had so much anxiety regarding going to the doctor today. When I did fall asleep, I had a series of bad dreams I don’t really remember, and kept waiting for my alarm to go off. I was very anxious about having to go to the doctor. Since getting sick in 2011, trips to the doctor have often meant something very unpleasant was going to happen, and the result is that I now have extreme anxiety even when going in for my yearly check-up. However, the results were good. My BP was 102/73, pulse 62. My beta-blockers are now officially giving me low blood pressure, which is the green light for starting to reduce my dosage. Also, the knee injury is likely just a strain. High-impact cardio and jogging is a no-go for me, which I’m fine with, because it’s not as if I enjoy those activities. I can now try to lose 10% of my body weight (what I need to be at a healthy weight, even if it’s not the number I’d LIKE the scale to say)over the next 6 months if I eat at least 1,000 calories a day and increase my healthy food choices. (less sugar and white carbs and crappy fast food.) And I didn’t need blood work, at least today. I definitely feel that health-related things are heading in a positive direction, even if personal life-related things have been all over the place this year. Of course, I know there’s still a long road ahead, but I suppose it’s OK to feel optimistic, if only for a day. Honestly, I wasn’t going to share it with the entire world, because I stayed up very late one night writing it. I sent it off, read it over, and immediately concluded that it sucked. In my mind, it was a perfect testament to my ability to create interesting and psychologically damaged characters who impact one another in some way, only to realise that three-quarters of the way into my allotted word count—nothing has happened. I am Seinfeld, without the humour. I have answers to those questions, but they’re complicated, and for a different blog—one that only those who enjoyed the story, or my personal anecdotes, would appreciate. So, simply put, “Yes and no”, to both questions. Finally, tonight was the finale of “The Big C”. I don’t remember the last time I cried so much, but I do know I feel blessed to have a number of people in my life I love as much as I do; even when I forget, even when they forget, even when I care more than someone might care about me in return. It means everything to know those people are there, out there at various places in the world. It’s Sunday once again, and here in Atlanta, you’d have no idea it’s the middle of May. Happy Mother’s Day to not only my mother, but all the wonderful women out there in the world who drive station wagons and mini-vans, change clothes in the car on a regular basis, learned to tune out the sound of little people screaming in the background, and know that hot dogs and spaghetti are an impressive Julia-Child type recipe when mixed together. Of course, every Sunday is Literary Libations, where I speak to the type of people who have children that have been loved and nurtured into publishable form. In a way, writing a book is a lot like deciding to have a child. It takes most of your focus for the greater part of a year, you make a lot of sacrifices in order to get it done, you end up slightly fat and out of shape and wanting ice cream at 3 AM, and it will wake you up in the middle of the night suddenly demanding attention. Halfway through the process, you start to doubt your ability to actually do this and know it’s going to go wrong, and when all is said and done, 10 pound boxes of something you created show up at your door. You’re then compelled to spend the next few years showing pictures of it and telling everyone how wonderful it is, even if it kind of just looks like every other book to everyone else. Fortunately, you don’t have to feed your book, potty train it, drive it to soccer practice, or wonder how you’ll afford to send it to college. On that note, today I’ll be speaking with tireless and prolific writer Devorah Fox. In addition to writing artful and imaginative stories (as someone who grew up intrigued by all the stories of King Arthur and the world of Camelot, I look forward to checking out her works. ), she also has a number of creative hobbies you can read about on her blog. Recently, she told me she was one of 100 writers invited to participate in a book-writing marathon. Participants were challenged to write a book in 40 hours. As someone who’s not sure she’ll be able to finish a novel in 40 years, I find this quite impressive. , and about the art and craft of being a writer. Sit back, relax, and perhaps give your mother a call to chat about the wonderful books you’ve just “Dee-scovered”. Originally from Brooklyn, New York, I’ve spent more years in Arizona and along the Texas Gulf Coast than I ever did “back east,” but still consider myself a New Yorker. The King’s Ransom continues the story of Robin, the dethroned King Bewilliam. He commits to restoring his kingdom and family against all odds, and they are formidable. Though The Bewildering Adventures of King Bewilliam series is set in a medieval fantasy world, I’m inspired by contemporary dilemmas. I wrote The Lost King to explore the predicament of people who because of the economic downtown were “pink slipped” out of a career, an entire life that they had spent a decades building. The King’s Ransom looks at what happens when you defy all odds and commit to pursuing your life’s dream. You could say I’m both an indie publisher and a self-publisher. In 1988 my late husband and I started a publishing company so I’ve been an “indie publisher” for decades. We did and still do publish textbooks for commercial motor vehicle operators but he always wanted to publish my fiction writing. So when I decided to get The Lost King between covers, I published it under our imprint. We have had nonfiction titles put out by a traditional publisher but regardless of who does the publishing, the author has to do a lot of marketing and promotion. 5) Where, when, and how did you get your start in the writing world? Is this your first book, or have you published before? If someone were to sum you up as a writer in 50 words or less, what would you like to have written about you? I’ve always been a bibliophile, even as a little girl. I believe I wrote my first novel in the third grade. I got my first writing job in 1977. I started writing fiction in earnest in the mid 1990’s. 6) Outside of writing, you seem to have a variety of interests and are a well-rounded person. What are some of your hobbies and interests? Do find these things help you grow creatively, or leave you in a time-crunch when it comes to meeting deadlines? I devote quite a bit of time to the writer groups to which I belong. I enjoy sharing what I’ve learned from being in the publishing field for so many years. It’s great to be able to spare someone from having to recreate the wheel. In turn, I have benefited from read-and-critique with other astoundingly talented writers. 7) In addition to being a writer, you’re also a blogger with a social media presence. How do you feel social media helps or hinders artists in pursuit of their goals? Do you spend a lot of time on social media or focus on building yourself as a “brand’, or is it something you only use on occasion? I think I do put quite a bit of time into social media but I’m not prepared to say that it’s been time well invested in terms of reaching readers. Maybe I haven’t been doing it right! On the other hand, I have picked up a lot of invaluable information from the experience other writers have shared. I wish I had more time for pleasure reading. Before I got so busy writing, I enjoyed Greg Iles, Randy Wayne White and Ian Rankin. I really admire how they create a sense of place. A reader of The Lost King found its hero reminiscent of John Sandford’s Lucas Davenport so now I’m rereading the Prey series. 9) Is writing a full-time career for you, or something you do in your free time? What do you ultimately hope to accomplish as a writer? For what would you most liked to be remembered? One way or the other, I’m writing something every day: a blog post, a sponsored review, a newspaper column. I’m fortunate enough to have had people tell me that my writing has helped them. In some cases it’s been practical, such as via one of our training publications. Others have been motivated to be creative themselves. 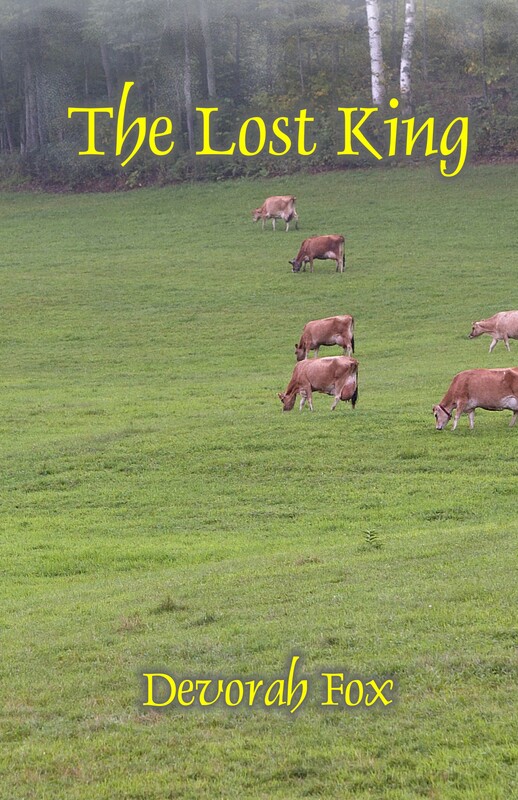 On reader was so inspired by The Lost King that he couldn’t wait for me to write the sequel so he wrote one himself. The Lost King has fan fiction! 10) I read something on your blog recently about you “going away to camp” in order to work on your next publication. That sounds like a truly interesting idea. Could you tell us a bit more about that? I attended “Camp NaNoWriMo.” It’s an imaginary writers retreat. I set aside a month, making fiction writing a priority and try to meet the goal of writing 50,000 words. Camp NaNoWriMo is organized by The Office of Letters and Light which also organizes National Novel Writing Month. That takes place every November, and OLL also holds two “camps,” one in April and one in July. I’ve done two NaNoWriMos, one in 2010 and another in 2012, and two camps, one in 2011 and the April 2013 camp. I’m not much of a movie goer. I do like TV. I think I’ve seen every episode of Law and Order and CSI. When I have time, I like to crochet and do crafts like glass etching, glass painting and furniture antiquing. I’ve given watercolor painting a try and I’d like to do more of that. Recently I charged myself with restoring a mosaic table that my mother had made decades ago. 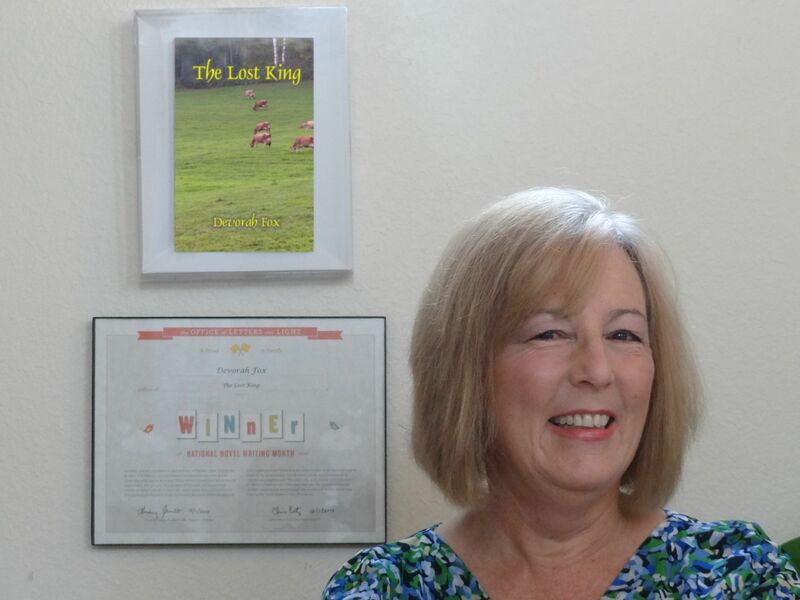 I was really moved when someone told me that after reading The Lost King he felt validated because someone understood what he had gone through in his life. I would tell young writers or even older ones that if you think you’d like to write, just do it. It’s a talent that not everyone has. Don’t hold back out of fear that it won’t be any good. It’s probably better than you think. I don’t think we writers ever believe our writing is good enough, anyway–we’re always looking to improve. “Devorah” is a weighty moniker so most people call me Dee. When not “Dee-Scovering” the dee-lights of the Texas Coastal Bend for my column in The Island Moon newspaper I’m running Mike Byrnes and Associates, Inc. We’re publishers of BUMPERTOBUMPER®, The Complete Guide to Tractor-Trailer Operations (the “bible” of truck driver training), authors of the Easy CDL apps for the iPhone and iPad (so much more enjoyable than the state manuals! 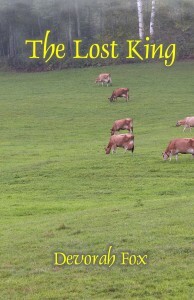 ); and last but not least The Lost King, a literary fantasy (Book One of The Bewildering Adventures of King Bewilliam). My current project is Book Two, The King’s Ransom, due out this summer. Thanks so much to Devorah Fox for stopping by to be our guest this Sunday, and I’ll be following up with her in the next few days to chat about her 40-hour writing marathon, and what type of results that yielded. I’ll also be sharing her author interview with me about “Ophelia’s Wayward Muse”, and discussing a few books that have shown up in my mailbox and on my Kindle that I simply can’t wait to read. In the meantime, a happy Mother’s Day—or just a laid-back and lovely Sunday afternoon–to all.